Everyone is faced with tough decisions in life, the decision to do a course at Abyss, not so much. 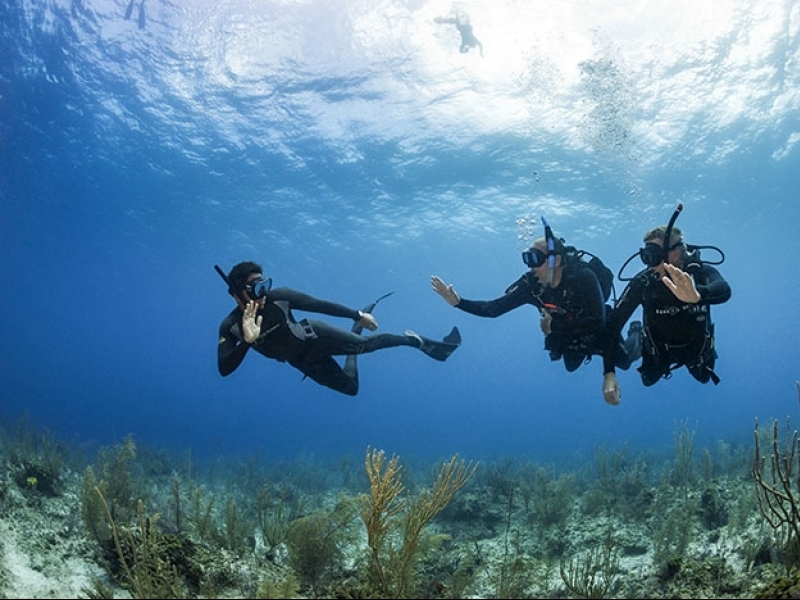 After becoming a corporate refugee with no desire to return to a fast-paced world of stress-induced sleepless nights, I spoke with a few people about a career in diving. They all said the same thing, contact Abyss. When I spoke with Carl for the first time, which I’m sure from his perspective felt like an interrogation, I signed up to the Master Scuba Diver Trainer Internship, and that is what has made all the difference. 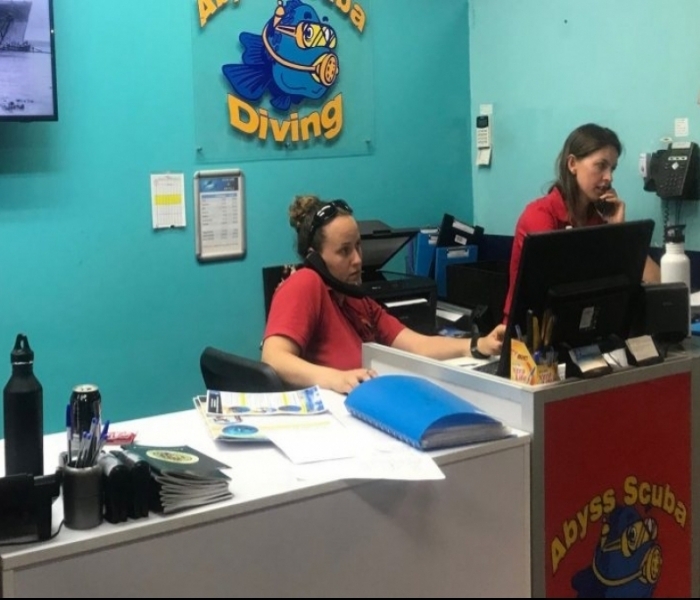 The decision to become a PADI professional was easy but the prospect of going through instructor training to come out the other side and be looking for a job with no experience was a little scary. That is where the internship was different from anything else out there. It provided the experience needed to enter the industry with confidence, and it made the transition from a desk-bound career to an office by the sea that much easier. After completing the instructor course, I became part of Abyss’ extended family, mentored by senior staff and trusted with students, and that’s when the real learning phase began. During the formal part of the course I became certified, but for me, it was only during the internship, under the guidance of a senior instructor, that I really became an instructor. 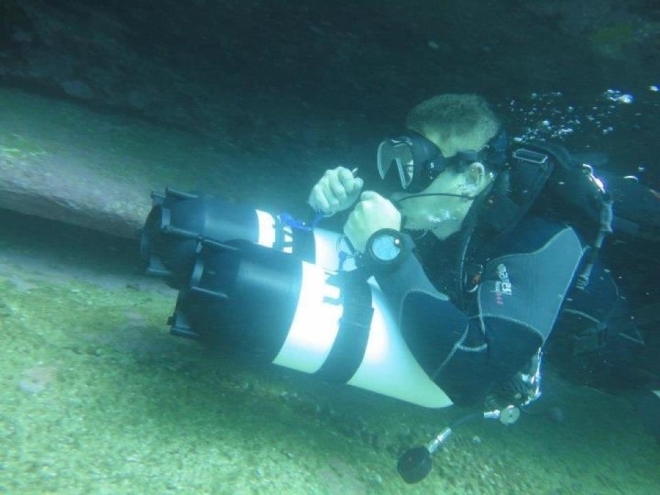 Since completing my initial training with Abyss, I’ve continued my career development with them, becoming technically focused as I currently complete the PADI Tec Instructor course. I do not usually personally endorse or provide recommendations, however, in this instance, I find it necessary to do so. During my training with Abyss, I found all the staff to be beyond reproach; they were incredibly trustworthy, professional and understanding. There were long and tough days, and when the day ended there was always someone there with a smile, ready to debrief and have a few laughs.